Our Real Life Low Carb course has been a great success! I'm grateful to all those who have trusted me, and humbled by the positive feedback I've received. who participated in the beta version of this course back in March! The most rewarding aspect though, is that 100% of the course feedback forms have said that that they would recommend this course to others. 100% have said that the course was a good value. "It was a worthy investment that I and my daughter will visit again and again as we continue to go deeper into our understanding and implementation of the Diabetes Protocol. Thank you, Lisa--a heartfelt thanks!" "The teen years are hard & this course has been a life preserver to a family who felt to be drowning. Thanks!" The course "Used a good variety of media options to keep it engaging and fresh!" 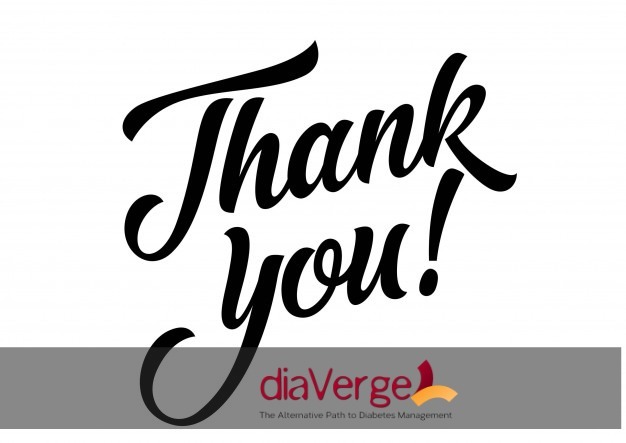 I'm also very happy to report that thanks to all of you and your purchases, diaVerge has donated nearly $500 USD to T1International and Faustman Lab for the first half of 2018. We're so happy to be helping these wonderful organizations and we wouldn't be able to do it without you! You can read more about our donations here. Our goal is to DOUBLE this donation amount for the last 6 months of 2018. Will you help us? For every course registration, we will donate 20% of the sale price to these wonderful organizations! For more info about our 'Real Life Low Carb' online course, visit the info page here. Thanks again to all of you! We're in this together. It's not too late to register! If you're interested in low carb for diabetes management, or already know about low carb but you're not getting the results you desire, join us today for our Real Life Low Carb program or our one-on-one low carb wellness coaching! Sign up to receive news, updates, recipes and tons of free content. Please check your email inbox to confirm your subscription. Thank you!